BEAVERTON — Barlow's volleyball team unloaded everything it had in the second set to put a scare into No. 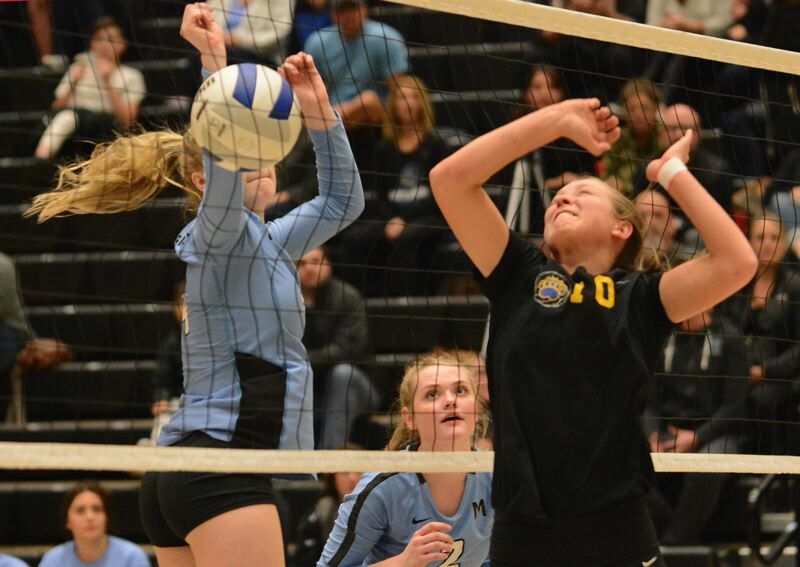 5-ranked Mountainside, but in the end the Mavericks came away with the sweep Wednesday night for the first playoff win in the school's brief history. The Bruins built their biggest lead of the night at 9-6 and were first to 15 when Sammie Pemberton set a ball the width of the net for Josie Carlson to blast a kill off a Mavericks' block. Mountainside responded with Grace Clark and Izzi Szulczewski each hitting aces to inch the Mavs closer to set point. An errant attack and a two-touch foul gave Mountainside the set 25-23. Higher seeds won all 16 first-round matches. Mountainside hosts Sheldon in the second round at 6:45 p.m. Saturday.